Do you want a natural but contemporary look in your home? Although slate has been used for hundreds of years, many people are only recently rediscovering it. Brazilian black slate is extremely popular with both modern homeowners and businesses, since it’s not only stunningly attractive but extremely durable. Although it’s considered one of the latest interior design trends, it is perfect for creating a timeless look that never goes out of fashion. With its smooth riven surface, Brazilian black slate is extremely stylish and can help you achieve a striking interior that’s both glamorous and highly practical. 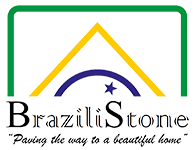 Whether you’re looking to bring this material to the indoors or outdoors of your property, Brazilistone offers a huge range of quality tiles, slates and slabs. Whatever the size of the order, our dedicated team can meet your unique needs. Available in a variety of colours, our slate indoor tiles start from only £16.50. These types of tiles are extremely popular for bathrooms and kitchens but can be used in any room in the house. 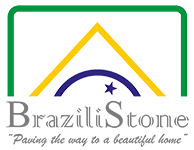 Based in Oxfordshire where our showroom and warehouse is based, Brazilistone is a small and friendly company who provide slate products throughout the UK. We want to make all the difference to your building project this summer. Why not explore our range of Brazilian black slate today?